The International Association of Business Communicators (IABC) is a global network of communication professionals committed to improving organizational effectiveness through strategic communication. Established in 1970, the organization serves more than 15,000 members in 67 countries, 100 chapters and 10,000 organizations. The IABC/Barbados chapter was established by a vote of the IABC Executive Board on June 15, 2015. 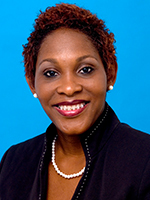 Marilyn Sealy is the Corporate Communications and Public Relations Manager at LIME Barbados. She has worked extensively in the field of public relations and event management for the past 15 years and is a trained behaviour and social change communication specialist. She holds a Bachelor’s Degree in Journalism from Ryerson University In Toronto, Canada and an MA in Communication for Social and Behaviour Change from the University of the West Indies. Sealy, also serves as the Deputy Chairman of the board of the National HIV/AIDS Commission Barbados. Carol Walcott is currently Markets Regional Coordinator at PricewaterhouseCoopers East Caribbean, a leading Barbados-based professional services firm. In this role she works closely with the Marketing and Communications group of PwC in the Caribbean to create and execute marketing, PR and communications plans for the region as well as for the Barbados firm. She is also responsible for event planning, brand management and corporate communications. 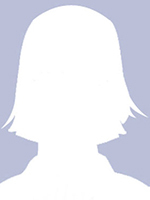 After graduating from Queen’s College and the Academy of Commerce & Technical Skills, Carol spent 11 years in the UK honing her skills in office administration, event planning and information technology. Whilst there she had the opportunity to organise one of her largest events at Alexandra Palace, and she completed a broadcast journalism course, part of which involved recording a radio programme at the BBC studios in London. On her return to Barbados and prior to joining PwC, she worked for local companies including DGM Bank & Trust, Sagicor and Sunlinc. Carol’s strong interest in internal communication and employee motivation encouraged her to join the IABC. 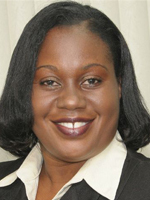 Jackie Marshall-Clarke has been employed with The Barbados Light & Power Company since 2007 and has been promoted to Communications and Public Relations Administrator for the Company. She has worked in the area of Communication, Marketing and Public Relations for over 15 years and is passionate about her career. Jackie is a member of the International Association of Business Communicators, Barbados Chapter and currently serves as the Vice President for Professional Development. As a professional, she says ‘development is a must for career enhancement’. While her undergraduate studies were in English and History, her post graduate studies were in Marketing, Public Relations, Communications and Banking. She is currently one of only three Barbadians with the IABC accreditation for Business Communicators. Even though Jackie is an active communicator, broadcaster and speaker, she still finds most joy in motivating and encouraging development among young people and remains committed in this aspect of her life. 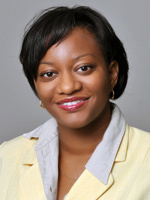 Novaline Brewster is currently the Public Affairs Officer (PAO) of the Central Bank of Barbados. In this role she assists with the Bank’s internal and external communications. Prior to assuming the office of PAO, she worked for more than a decade as a broadcast reporter and editor at the state-owned Caribbean Broadcasting Corporation. Carmel is the Principal of Haynes Consulting, a bespoke public communications and business development consultancy catering primarily to not-for-profit and services-based clientele. She is also contracted by the Royal Institution of Chartered Surveyors as their Member Services Manager for the Caribbean and Florida. Carmel has led the communications strategies for two internationally funded regional environmental projects, and she has over a decade’s experience in print and web-based journalism. 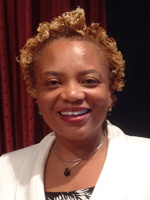 Carmel is a Charter Member and Past President of the Progressive Optimist Club of Barbados, and she was designated as a Distinguished Secretary-Treasurer by Optimist International in 2014. 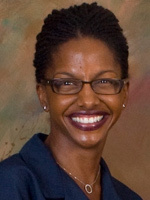 She holds a BA (Hons) in Literatures in English from the University of the West Indies and a Pg. Dip. (Merit) in International Business Management from the University of Surrey. She is currently pursuing the ACCA Certified Accounting Technician accreditation. Sophia joined the BHL Group in 2000 as the Communications Specialist and two years later was promoted to Group Public Relations Manager. 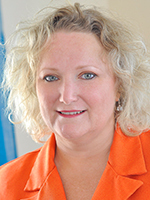 Her duties are varied and include planning budgets; strategically developing the group’s Corporate Communications programmes; managing internal and external communication projects; advising senior management on media relations, crisis management and employee engagement; developing print and electronic communication tools to disseminate information throughout the group of companies; and Image Management. This award winning professional has studied in Barbados, the UK and Austria. IABC Barbados Welcomes a New Board! Developed by Caribbean Webmasters Inc | Theme: IABC Barbados by www.WardStudiosbb.com.